Is Allegiant America’s Most Dangerous Airline? Maintenance issues have dogged this low-cost carrier and there have been a number of heart-stopping in-flight emergencies during 2015. So just how safe is Allegiant? 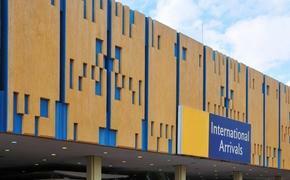 You may have never even heard of Allegiant Airlines, and perhaps that’s for the best. The carrier has come under heavy scrutiny by the Federal Aviation Administration due to fleet-wide maintenance issues, of a scope so daunting that one seasoned mechanic felt compelled to quit rather than tackle the problems. “I fired Allegiant as my employer,” 57 year-old veteran aircraft mechanic Greg Marino told the Tampa Bay Times. He resigned from his job as a mechanic at Allegiant after only two weeks, because of unsafe maintenance practices, including delayed inspections and repairs. He accuses Allegiant of intentionally putting off these federally required inspections and repairs so that they can keep the planes in the air, and thus making money. After leaving the airline, Marino even received an email from Allegiant’s corporate recruiter, apologizing for the ordeal, calling him “a gem within the industry.” Airlines industry-wide do offer ways report safety or maintenance concerns without fear of reprisal. Among the red flags Marino witnessed at Allegiant: an overheard conversation from a mechanic who admitted to signing a form that said he had completed a required check after a repair, though he had not completed the check. He also witnessed another mechanic playing a game on his iPhone while taking a computerized aircraft familiarization training course. So maybe the word of one man isn't enough to sound alarms. But there is operational evidence as well. In June, an Allegiant flight made an emergency landing due to a report of smoke in the cabin. The pilot was subsequently fired, after the airline said the evacuation was unnecessary, and resulted in a few minor injuries. However, leg injuries are not uncommon during evacuations, due to the speed at which people descend the inflatable escape slides. An indication of smoke in the cabin, and thus a potential fire aboard the aircraft seems like a pretty good reason to evacuate. In July, an Allegiant flight had to make an emergency landing at a closed airport, after surpassing the minimal amount of fuel allowed. The pilots happened to be their VP of Flight Operations, and ironically, their Director of Flight Safety. In October, an Allegiant flight with 166 people on board suffered an engine fire before taking off from Las Vegas. 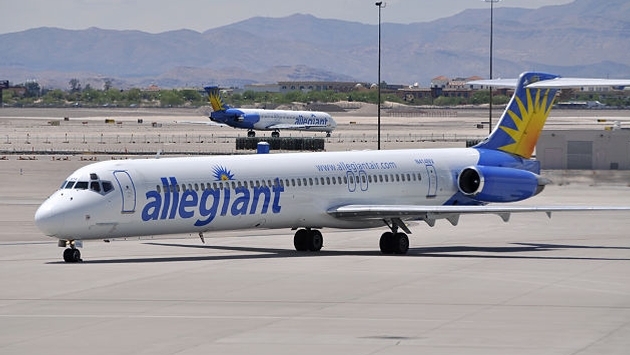 In another incident, this August, an Allegiant flight aborted takeoff in Las Vegas, due to another mechanical issue. According to WCPO, another plane was brought in eight hours later, and it had mechanical issues as well. "That's not uncommon at Allegiant. We've seen it happen time and again where what they call the rescue airplane has maintenance issues as well," said Chris Moore, chairman of the Aviation Mechanics Coalition. The New York Times reports Allegiant’s own pilots are at odds with airline management over safety concerns, accusing the airline of putting profit before safety, and cited at least four times where an engine had to be shut down while in flight. Other issues include inoperative cockpit panel lights, pressurization issues, communication problems and hydraulic leaks. Many of the issues may be related to the fact that Allegiant buys many of their planes after they’re retired from other airlines. That’s not to say they’re inherently unsafe because of that, but older planes do require more frequent inspections and upkeep, much like cars. Are we suggesting, you don’t fly Allegiant? No. But the series of mechanical issues and the lack of confidence from their own pilots is, in fact, alarming. Allegiant prides itself on its safety record, having no major or fatal incidents. They’re not known for great customer service, but instead for getting people from place to place cheaply. While the incident rate is low when compared to the overall number of their flights, it is higher than the industry average — especially their U.S. based competitors. Ultimately, it’s up to you to decide if flying Allegiant is worth the risk.